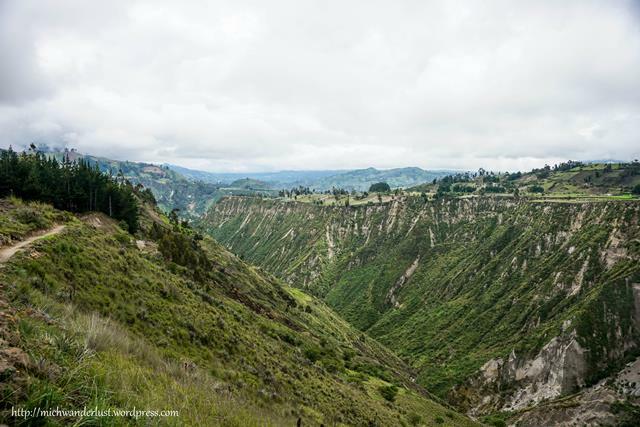 The Quilotoa Loop: an epic, multi-day trek deep in back-road country. Here, you’ll find breath-taking landscapes where the full beauty of mother nature is revealed. Small villages where life goes on as it has for hundreds of years. 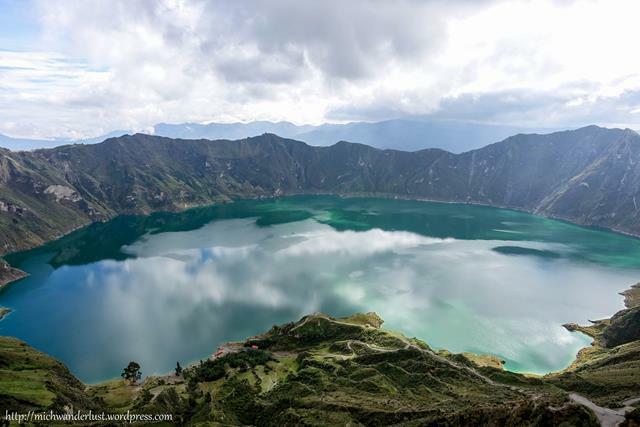 And a volcanic crater lake which locals swear has no bottom: the Laguna de Quilotoa. My 4-day hike through the Loop was one of the most challenging – and ultimately one of the most rewarding – experiences of my life. Looking back, though, I could’ve saved myself a lot of pain and unpleasant surprises if I’d known a few things beforehand. 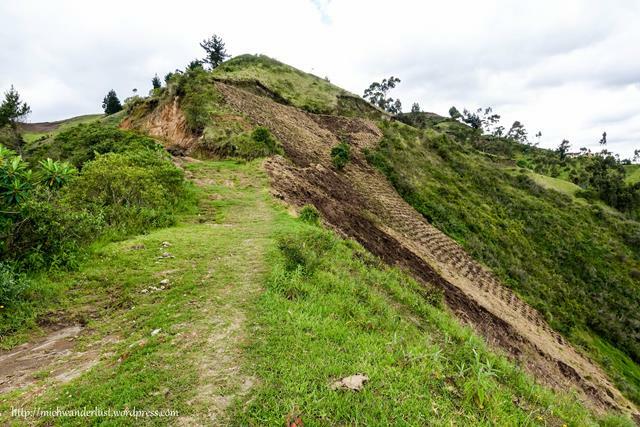 So if you’re planning to hike the Quilotoa Loop, learn from my mistakes. And I hope it goes easier for you! This is, without a doubt, what surprised me the most. Why? 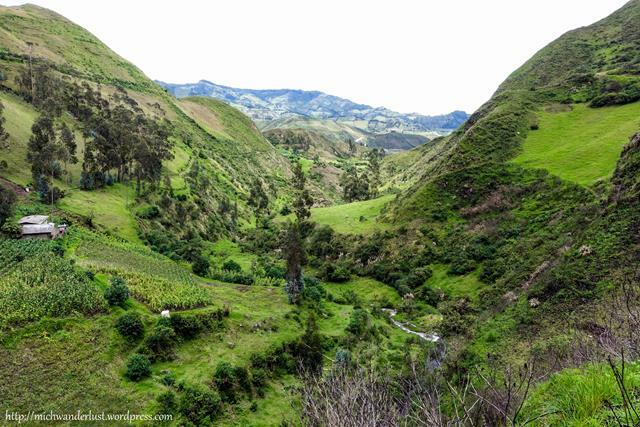 You hear words like “off-the-beaten-path” and “isolated” mentioned in the same sentence as the Quilotoa Loop all the time. So I was expecting villagers who had hardly come into contact with tourists before, who would perhaps unobtrusively gawk at us before returning to whatever they were doing. Never underestimate the power of tourism to change local attitudes and behaviour so quickly. The first time a little girl ran up to ask for food, I was taken aback. But it happened again and again. Enough for me to realise that it wasn’t an isolated incident. 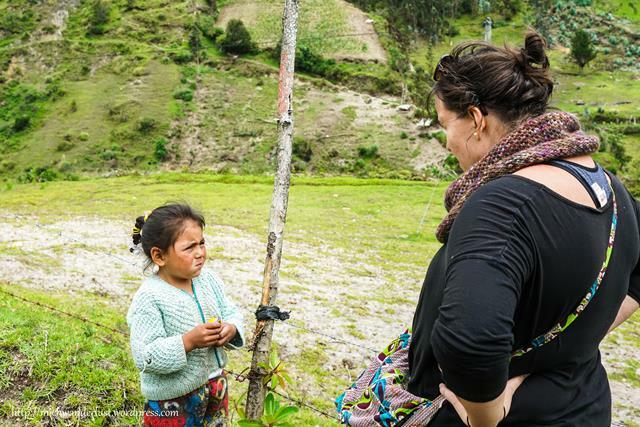 The locals have obviously adapted to – and learned to take advantage of – the presence of tourists and their generosity. So if you go, be prepared for kids, and even some adults, to approach you for food and/or cash. The question of what to do in this situation is not an easy one, which I’ve discussed in some detail here. That’s completely up to you. I just want you to know that you will encounter this. 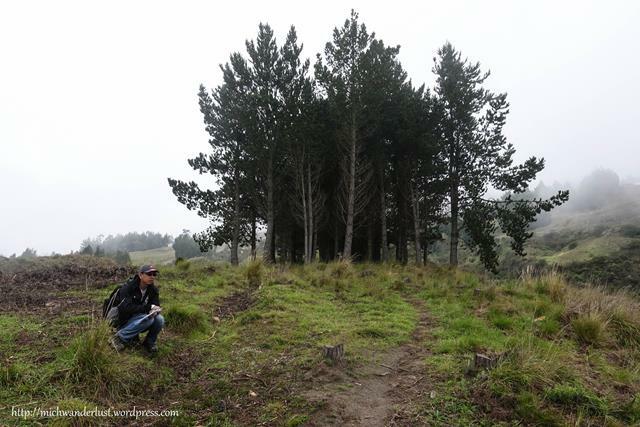 On the Quilotoa Loop, don’t expect to find well-marked trails or signs for every turn that you should make. Sometimes the trail is just a thinning of the grass where many feet have trod over the years, like the one below. So it’s not enough to have merely an idea of your route before setting out – at least, not if you’re anything like me. We attempted the first leg of the hike, from Sigchos to Isinlivi, without a map and it was a disaster. But even when you do have directions, you will still inevitably get lost at some point (or 10). It’s normal. More often than not, the directions say stuff like “when you come to a meadow, take the first left, and then follow the path for 500m”. And then while you’re following that path, it will suddenly branch off. And you’ll be completely mystified, because your directions don’t say anything about a junction there. Moreover, the directions aren’t always updated, so you might end up inadvertently trespassing. We once got yelled at by an indignant woman who claimed that we were on her land. It turned out fine – we just took a slightly longer route. So when you get lost, don’t worry. It happens to everyone. And the good news is, if you take a wrong turn, you’ll probably realise it within a few minutes – when you end up on someone’s doorstep. I can’t count the number of times we got overtaken on the Loop. And on one memorable occasion, a guy jogged down this valley and up the other side, while we trundled slowly along the side of the mountain. He reached the other side and disappeared from sight within minutes! True story. While a little competitive spirit does help to spice things up, it’s easy to get discouraged if you take it too seriously. The important thing is to remember that you’ll get there in the end. And then just enjoy the journey and stop the comparisons! The first day, some hikers got hopelessly lost. We found ourselves staring across this valley at them, waving and yelling like madmen to get their attention. No, we don’t have eagle eyes (I wish!). It was because one of them was wearing a neon green jacket that you could literally see for miles. So, lesson learnt: if you want to be found easily when you get lost, the brighter your gear, the better! Coming from a tropical country like Singapore, I’m extra sensitive to cold. So on reading this, I panicked and packed probably more layers than I really needed. As it turned out, it was indeed cold at night, but I had no problems sleeping in my usual attire. The blankets provided by the hostels were warm and cozy enough – we didn’t even ask for extra blankets. So, do your research and don’t just take one blogger’s word for it. Apart from reading travel blogs, you should also check the weather forecast. Ask other travellers you meet about their experience. And if you’ve been in the Andes for some time, you’ll probably already have a good idea of how cold it gets. Everyone’s experience is different, so the more information you have, the better! Luckily, I had a rain jacket and pants. But my shoes, which were waterproof when I first arrived in Ecuador, had long since ceased to be so. If you’ve ever had to walk around for hours in wet shoes and socks, you’ll know how unpleasant that is! I also didn’t have a waterproof cover for my backpack, but thankfully, its contents stayed pretty dry. Of course, you might get lucky and not have any rain at all – see #5 above – but if it does rain and you’re caught without rain gear, you’ll be one miserable trooper. Meaning, you can pack lighter if you’re willing to pay for laundry services. I had enough clothes, so I didn’t do this, but I did think about it wistfully at times during the day. 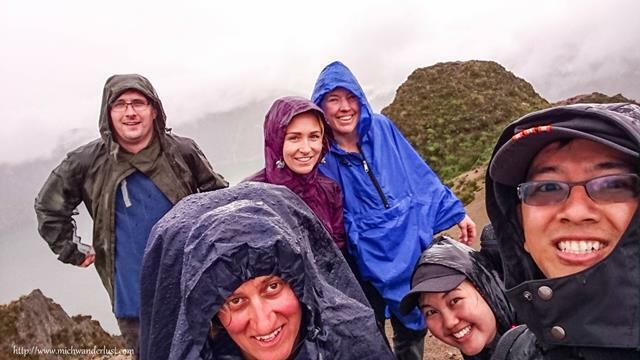 In any event, a good rule of thumb is to plan for 1 set of dry clothes each day – especially the day you reach Quilotoa. If you arrive soaked and freezing, like we did, all you’ll want is to take a hot shower and change into some dry clothes. On the first day, I slipped and fell against a barbed wire fence. Instinctively, I put my hand out to break my fall – right on a spike. It pierced right into my thumbnail and lodged itself there. Thankfully, my husband was able to remove it cleanly and quickly, and it healed well without any complications. But that incident left me a bit shaken – a few mm to the side, and the spike would have pierced my thumb itself. On hindsight, if I were to do the Quilotoa Loop again, I would definitely bring some basic first aid essentials. Because you spend so much time in the middle of nowhere with no one else around you, you have to rely on yourself. In each village we stayed at, there were multiple day-trip options. 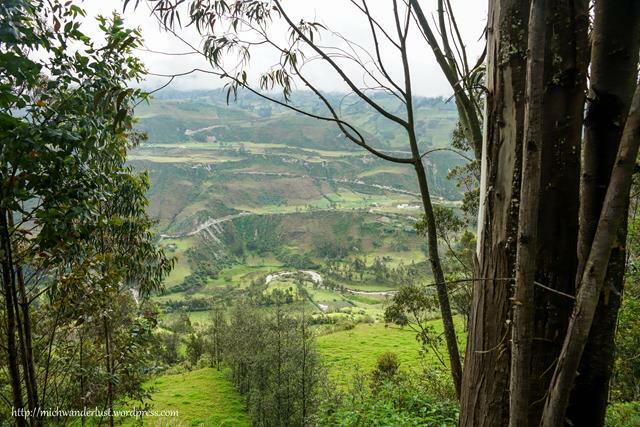 We took a day-trip to the village of Guantualo from Isinlivi, but there were other intriguing activities on offer like visiting a local cheese factory or woodworking shop or going horseback riding. Had I known that there was so much to do in each village, I would have planned for a longer stay. It feels almost a waste to reach these far-flung villages and not check these out. I’d also have loved to see the indigenous markets in Saquisilí (Thursday) or Zumbahua (Saturday), if only for the llamas. The hostels provide a hearty breakfast and dinner, and you can also get packed lunches for about $6. We opted for packed lunches twice, and they came with so many snacks that we didn’t need to buy any more lunches. I found that I didn’t really get hungry during the hike, in any case. We stopped often to rest and drink water, but didn’t eat much. In fact, we stocked up on snacks before doing the Loop, and finished the Loop with most of those snacks still uneaten! So if you stock up on snacks in Latacunga, you may not need to buy packed lunches from the hostels. Try it for one or two days and see how that works for you! 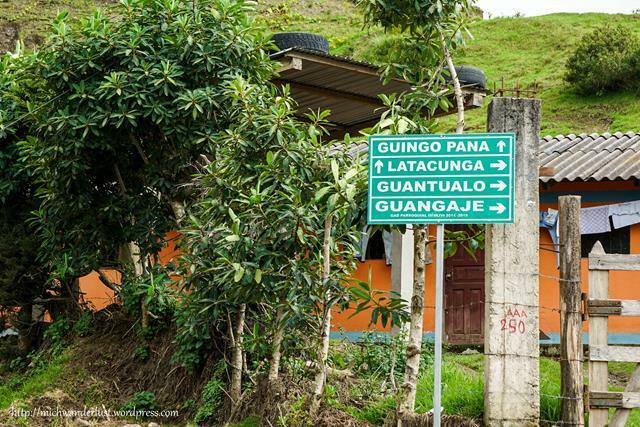 Alternatively, you could skip the shopping in Latacunga and just rely on 1 or 2 of the generous packed lunches. 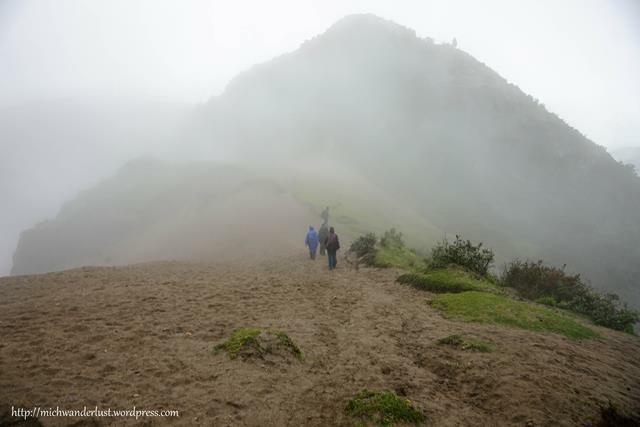 UPDATE – Bonus tip #11: Bring trekking poles and save your knees! (Thanks to Lia from Practical Wanderlust for this tip!) I didn’t see anyone with them while hiking, but on hindsight they would have been great! 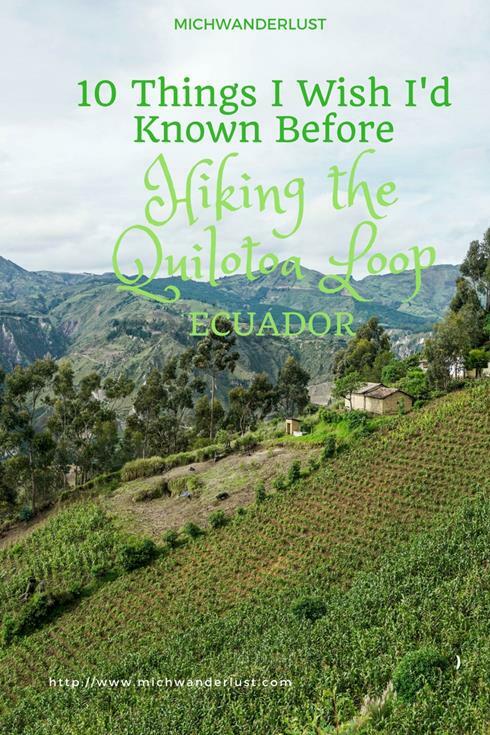 Have you done the Quilotoa Loop or a similar hike? What are some of the things you wish you’d known before doing it? Hindsight is 20/20! Thanks for sharing your lessons learned. I would love to do a hike like this some day. Your photographs are amazing and I am so glad to hear it turned out to be such an amazing experience for you. Thanks for sharing on #TheWeeklyPostcard. 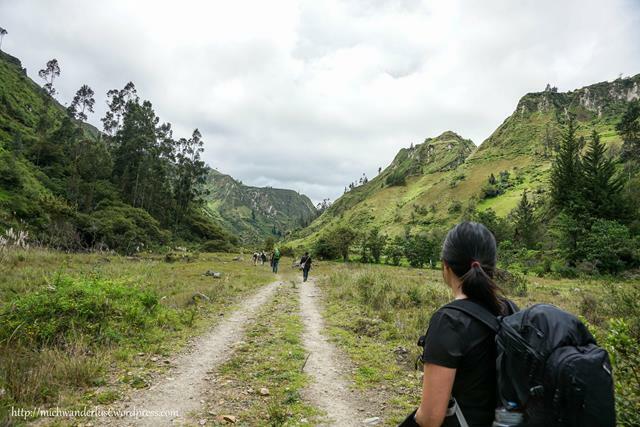 Great advice not only for hiking the Quilotoa Loop, but heading out in the open air in any destination. Very smart tip about wearing bright colors while hiking! I certainly never thought about that! Thanks for linking up with #TheWeeklyPostcard! What spectacular sceneries! I am a very slow hiker, but I guess that even if you’re not at the top of your shape such landscapes really reward the hardships of hiking!! These are awesome tips! I can’t believe there were kids in this area asking for food and money. That also would have surprised me and is a really helpful warning. Love that you point out it isn’t a competition as well. It can be so hard to get caught up at the pace of other hikers and worn out quickly. Lots of lessons learned from this trip, Michelle. Too bad you didn’t know all these beforehand. It seems however that you enjoyed the Quilotoa Loop a lot, so I’m sure you are not looking back with regret. I can only hope to do such an amazing hike someday. Looks difficult though…. Great photography and tips especially about wearing bright colours and taking snacks. When I travel, I usually take my green windbreaker and a pink trenchcoat. You’d definitely be able to find me if I got lost! What an interesting read! Ouch about the barbwire. Glad it healed well and excellent tips on wearing bright colours! Definitely going to the list of hikes I want to do! Thanks, Kreete! Hope you get to do it someday – it’s a truly unforgettable hike and I’m sure you won’t regret it! Wow! I have learned so much from your post about Quilotoa Loop! Thanks for sharing your experience with us and sharing and enlightening post! Thanks so much Agness, glad you found it useful! Great tips! I definitely agree with your callouts here – we got lost roughly a zillion times. Also, I definitely wish we would have allowed to rest days in between hiking, both to explore the towns and to just recuperate! One of the most difficult hikes we’ve EVER done (and we only made of 2/3 days … and my poor husband was limping so bad by the final mile that we opted to hitchhike instead). No regrets, though! Well, ok, just one: save your knees and bring trekking poles!! Great tips, thank you! Can you comment on the bathroom situation while hiking? Are there enough trees, rocks, etc. to go privately, or do some small towns offer bathroom accommodations? Also, which month did you hike in, and do you know if November is a good time to go?